It is fair to say that is has been a thrilling week in international football as we end the first week of games in the Russia World Cup 2018. There’s been some real shocks, some jaw dropping moments, some extremely tense moments and some team brilliance. Let’s take a look at the World Cup 2018 Results and Group Standings after Week 1. During by the results listed above, there has been some real shocks in this first week, probably the biggest one being Mexico beating Germany. This totally flips the World Cup Group F betting, with Mexico now favourites to win the group! 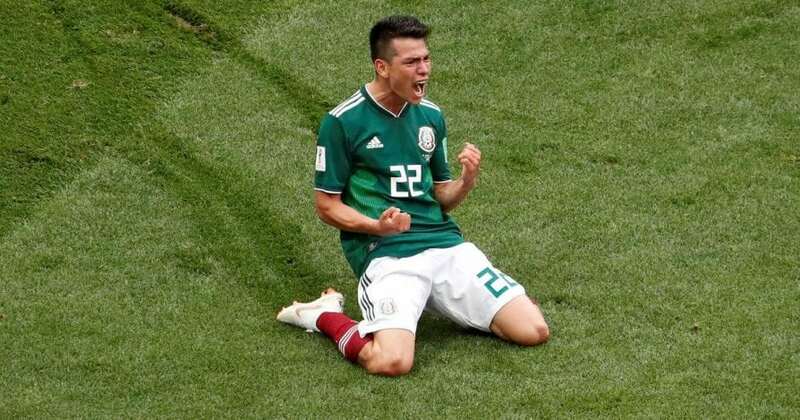 Bet Stars currently have Mexico at 8/11 to win Group F which is one of the better odds to choose, whilst other bookies such as 10Bet have Mexico at 11/18. Marathon Bet have now pushed Germany out to 18/5 to win Group F, which means they back Mexico to beat both Sweden and Korea. Another shock that might open a few punters eyes is Group D, where Croatia have become favourites to win Group D with Sportingbet labelling them at 9/10. Argentina are now backed to finish 2nd in the Group after their 1-1 draw with Iceland. 888Sport have given them odds of 16/11 to top Group D.
After the first week, it is interesting to see where the bookies stand in regard to the Golden Boot winner. With Ronaldo scoring a Hat-trick against Spain, it puts him well in contention for the golden boot, it actually puts him favourite. Ladbrokes have Ronaldo at 15/8 and Betfair have Ronaldo at 13/5. Harry Kane has also made his way into the list of strong contenders for the Golden Boot award after his 2 goals against Tunisia, including his last-gasp goal to give England all 3 points, sending the nation crazy! Sun Bets have Harry Kane at 6/1 which is quite convincing, whilst Betway have inviting odds of 13/2. Other favourites include the other big scorers of the week which are: Diego Costa, Romelu Lukaku and Antoine Griezmann. After the first week of football, despite unconvincing results and play from both teams, the 2 favourites are Spain and France. Betfair have labelled Spain at 13/2 as favourites to reach the final, with France being second favourites at 15/2. Betfred have Spain as clear favourites to reach the final with their 9/4 odds and then they are backing Brazil to also join them at 2/1, with them having France at 10/3.